This is the bottom of our drive. 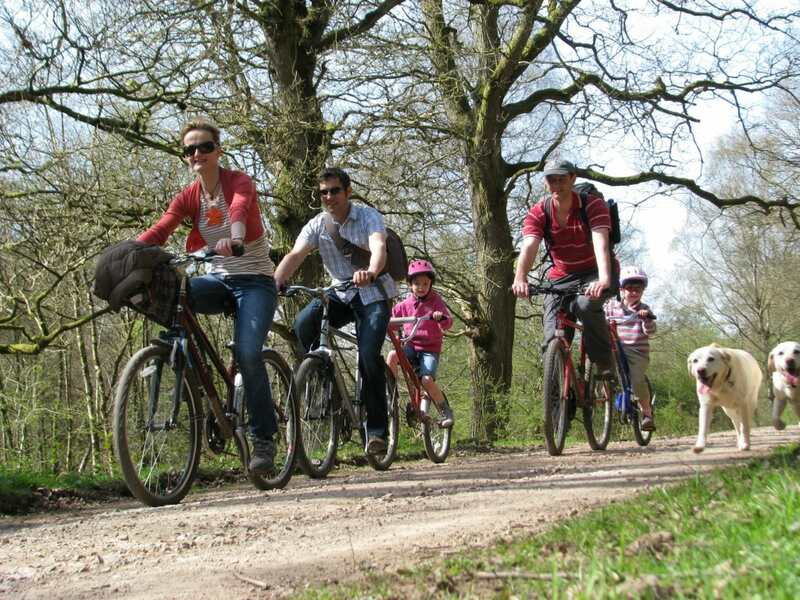 Monmouthshire Cottages are ideally located for those wishing to cycle on or off road- from a very comfortable base. 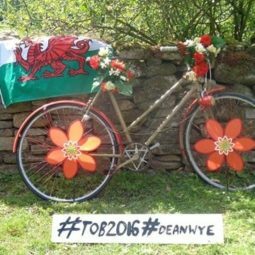 The TOUR of BRITAIN 2016 passed right by all three of our cottages as it came through USK, TRELLECH and TINTERN That should tell you what amazing routes we have! 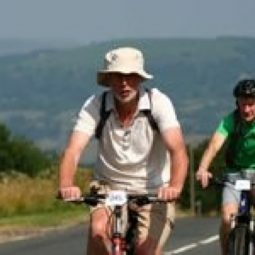 Two of our cottages ( Foxes Reach and Tintern Abbey Cottage) have lockable storage for bikes and both also have hose pipes for washing off mud. 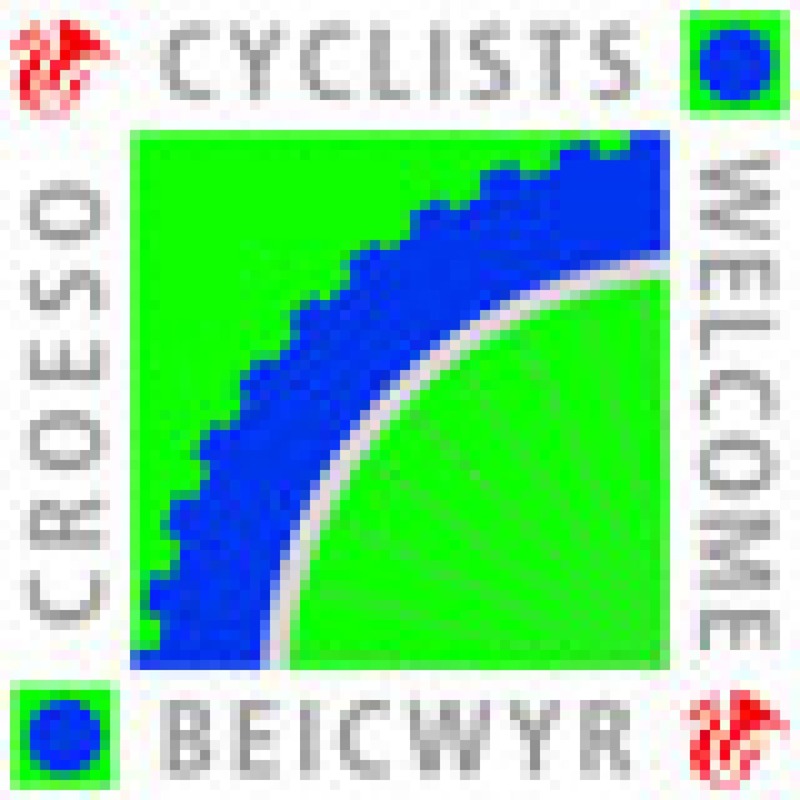 We have Visit Wales Cyclists Welcome awards too. 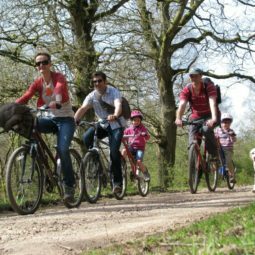 After a fun packed and active day you will be glad to return to a warm house, chill by the woodburner at either cottage, soak in the hot tub at Foxes Reach or the spa bath at Abbey Cottage – or try one of the numerous pubs! Locally there are lanes where road bikers and tri-athletes can get in some hill work, and you can book into the Wales National Velodrome in Newport (20 minutes by car) for lessons . In particular we recommend the following centres . 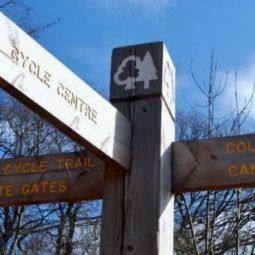 The area’s premier trail centre is so near to us -based at Cannop on the head of the cycle trails in the beautiful and historic Forest of Dean. 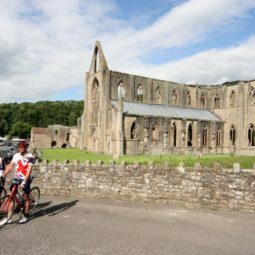 About 12-15 minutes by car from Foxes Reach and Tintern Abbey Cottages, half an hour from Vanilla. 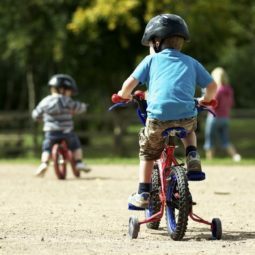 Suitable for some gentle exercise or a day out with the kids but also has more challenging routes for the more experienced and althletic rider. 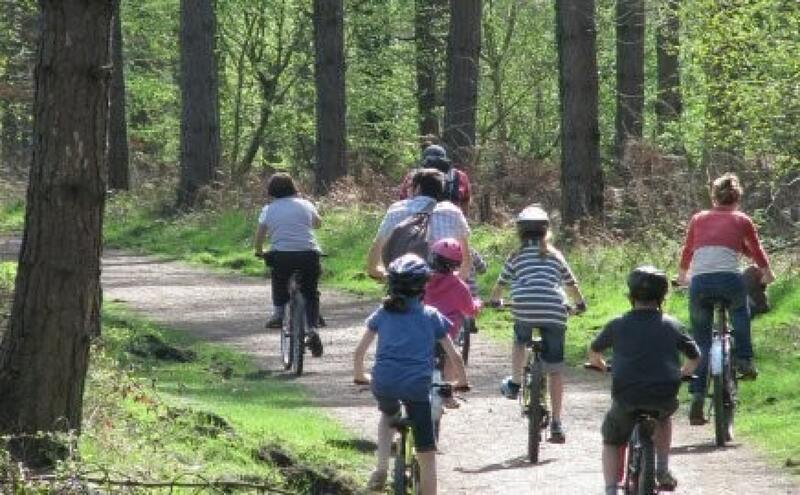 Bring your own bikes or hire some for the easy-going family cycle trail.There is good walking from this base as well if someone prefers not to take to wheels! Feeling more adventurous? Then grab a mountain bike and go cross-country. 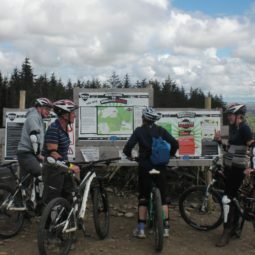 Or if you’re looking for a buzz, test yourself on the challenging range of downhill routes. 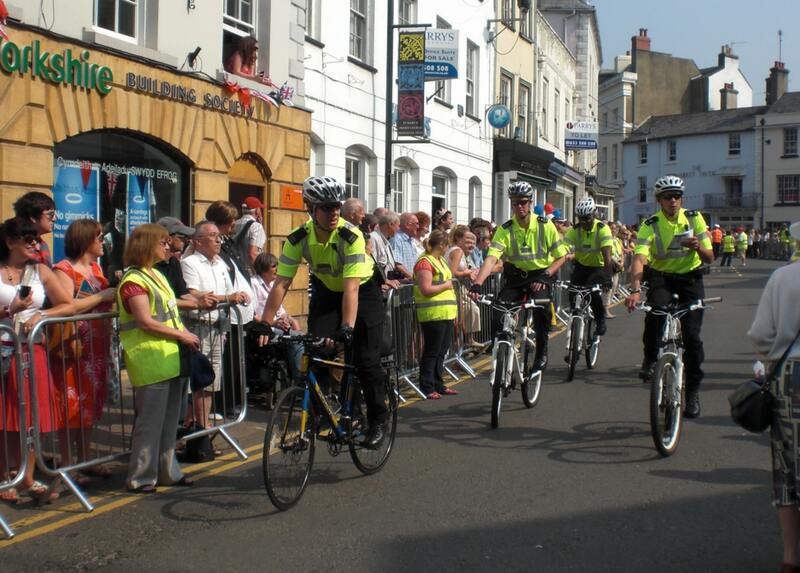 They have a large fleet of regularly replaced hire bikes, cafe with compulsory – after-ride ( !) yummy cakes , bike workshop for a service and shop with accessories, parts, clothing and protective equipment . 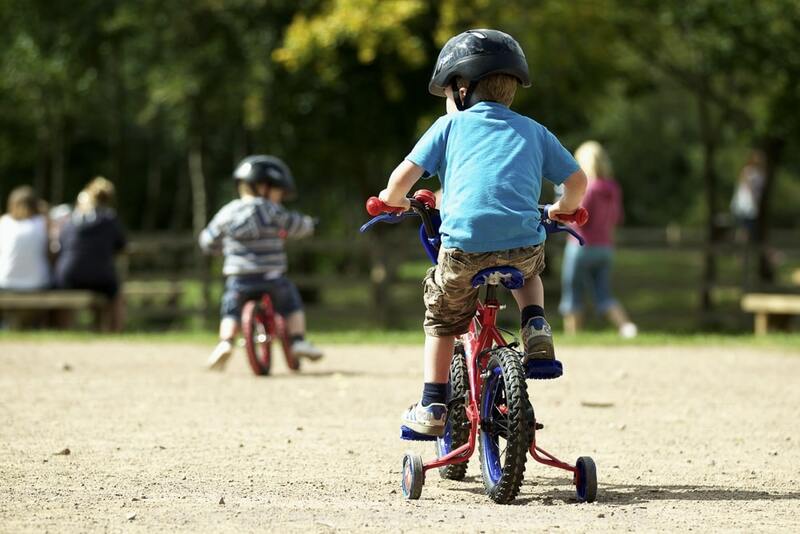 This centre has been selected as the very first Mountain Trike Experience Centre. Mountain Trike is a unique, truly All-Terrain wheelchair that offers riders the freedom to venture out into previously inaccessible areas. Cwmcarn is less than half an hour from the Severn Bridge so around 45 minutes from us.This is the one for the downhill speed merchants! There’s also a purpose built freeride park, full of jump packs, berms, wall rides and a complete corkscrew for getting your eye in before hitting the full descent. 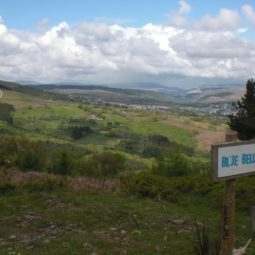 Whether you are completely new to mountain biking or a seasoned downhill pro, BikePark Wales will offer you an incredible biking experience unlike anything you have experienced in the UK before. The concept is simple, picture a ski resort, remove the snow and replace the pistes with an array of sweeping flowy bike trails meandering to the bottom of the mountain and you are close. Add a bunch of adrenalin and big sprinkle of fun and you are pretty much there. 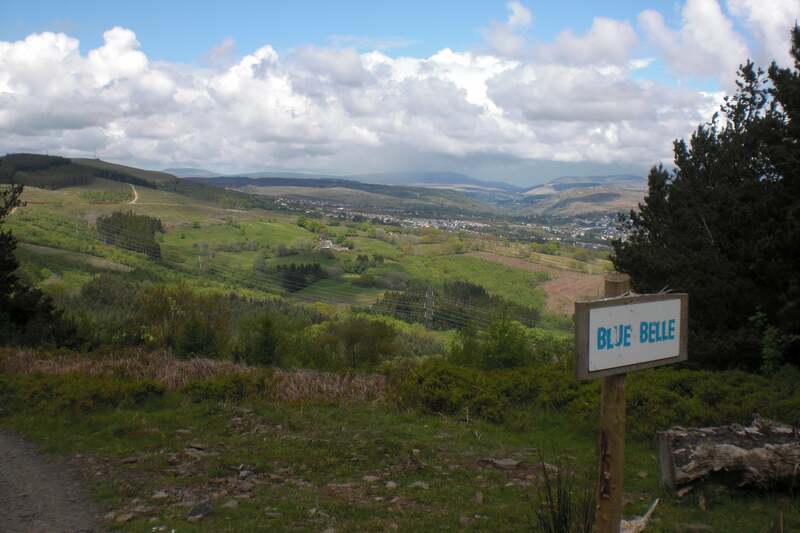 BikePark Wales is an exhilarating way to spend your day in the Welsh mountains. 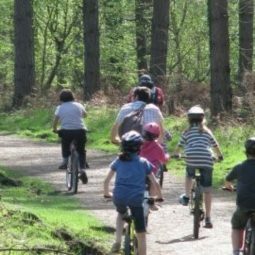 A series of lift assisted trails caters for riders of all abilities. With a mix of incredible all weather roller coaster trails and some of the best natural Singletrack the UK has to offer, they challenge you to control the silly grin on your face at the bottom of each run. A fleet of mini buses will transport you quickly, safely and comfortably to 491m, the top of the mountain, Myndd Gethin. You will be dropped off at the very top of the hill right next to the start of the trails. All that remains to do is select your route and whoop and holler your way back to the bottom of the mountain in time to catch the next lift up. If you would rather not use their uplift and you feel up to the challenge there is also have a Single track climb so you can pedal your way to the top of the hill before choosing your route down. 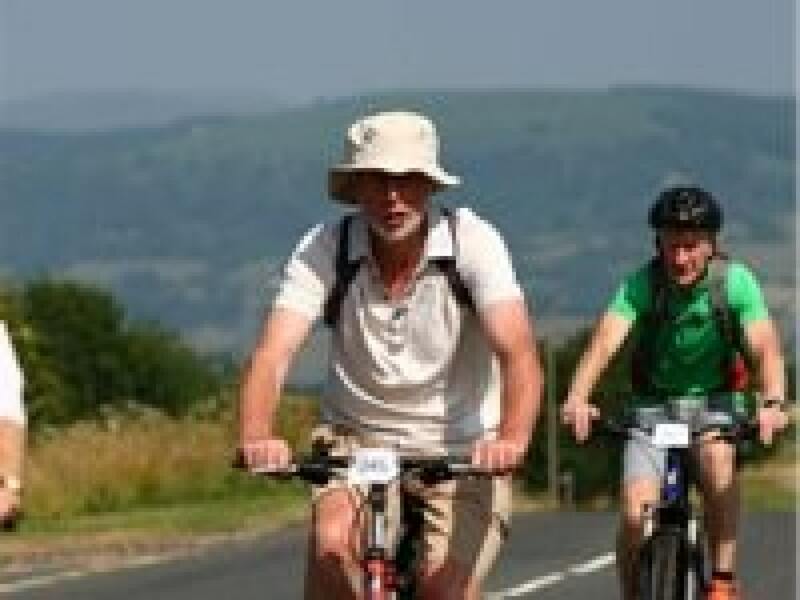 Day passes are just £5 for riders wishing to pedal up (they do not charge for car parking). 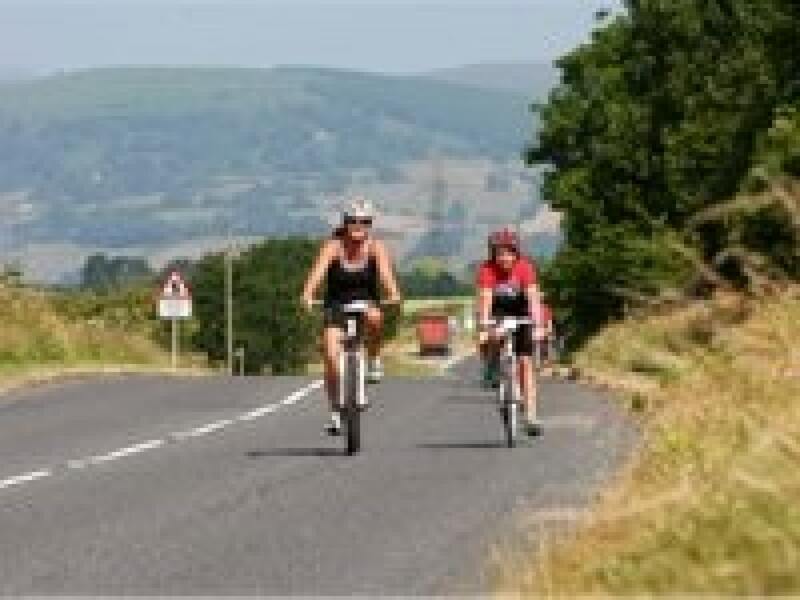 The attractive market town of Abergavenny, home of Becky James, is fast making a name in the cycling world. 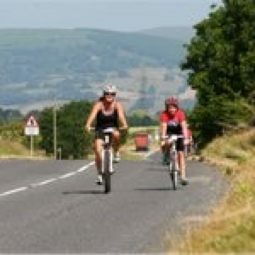 Have a look at www.abergavennyfestivalofcycling.co.uk. 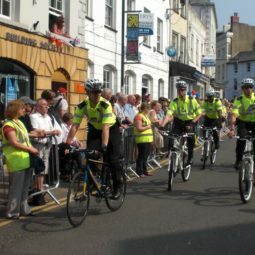 There are numerous classes and the size of the crowds coming to watch successors to Bradley Wiggins, Chris Hoy increases each year. Ride the Velodrome named after our local champion- where Champions Ride! Around half an hour by car from the cottages. You can spectate but also you can book in for lessons including beginner sessions. 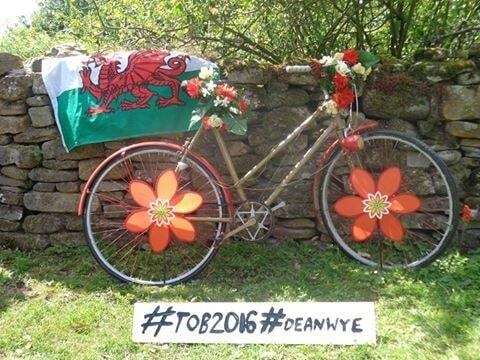 Are you the next Nicole Cook or Chris Hoy or Geraint?? Foxes Reach Cottage holds a Visit Wales Cyclists Welcome Award and we can make room to lock bikes in the cottage laundry . 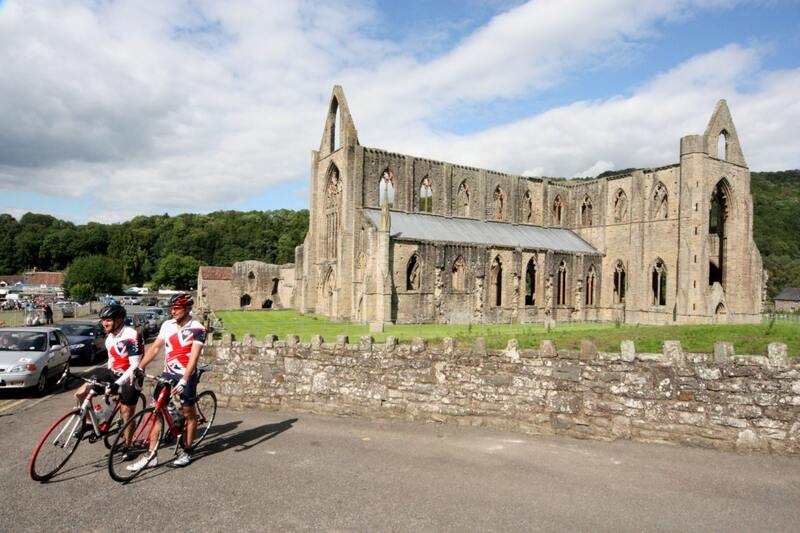 Tintern Abbey Cottage holds a Cyclists welcome award and has a lockable bike shed. Vanilla Cottage welcomes cyclists but has no lockable shed for your bikes however they can be chained up near the front door.. 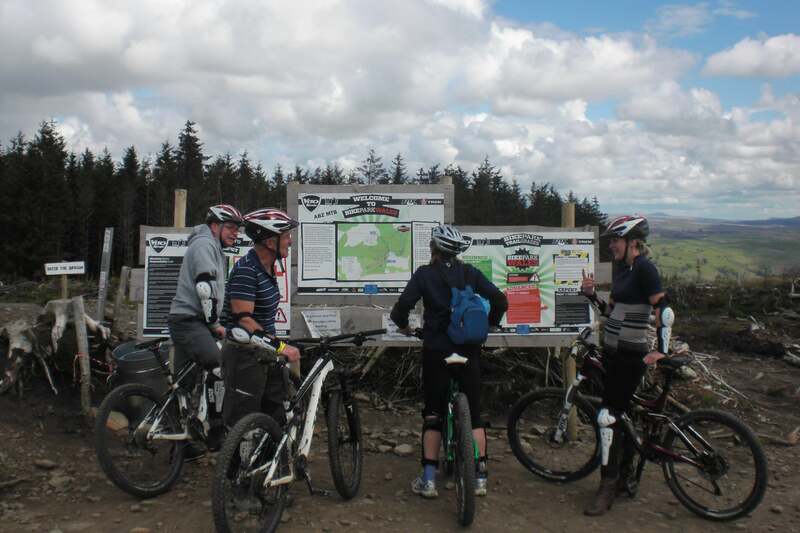 True Mountain biking from easy to very demanding and complete with uplifts at Bike Park Wales. This incredible new centre is at Merthyr and under one hour from us..